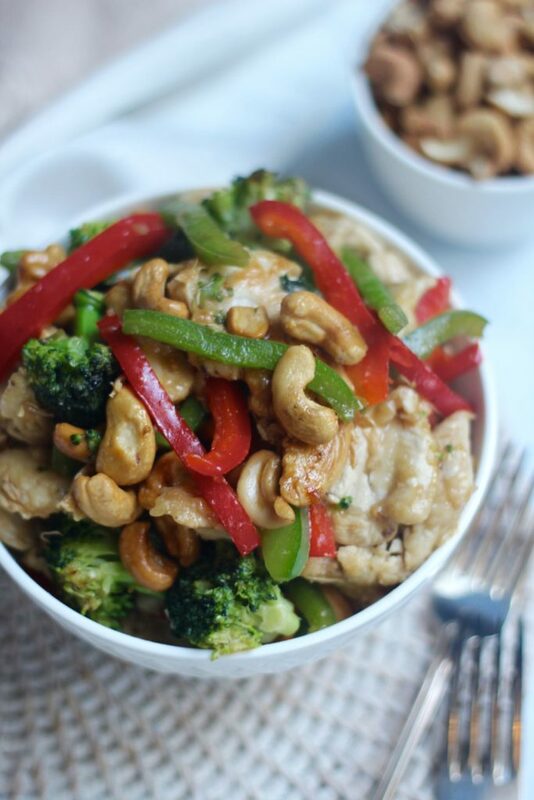 Easy healthy cashew chicken recipe perfect for weekday dinners! 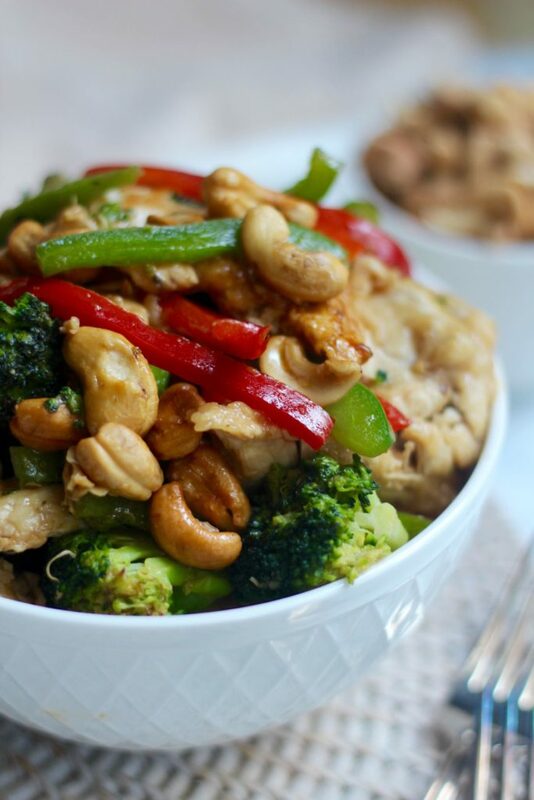 Seriously this easy healthy cashew chicken recipe is so bloody good. It’s the ultimate weekday dinner recipe. Created to make your weekdays more Merry… because you’ll spend less time in the kitchen and more time <insert whatever you wanna do here>. We made this recipe for the next #GetMerry 14 Day Challenge. Curious already? Head on over HERE. It starts soon! Ok and we know we say this often… but THESE recipes are the best yet and this is the challenge not to be missed. We’re adding so much more goodness. 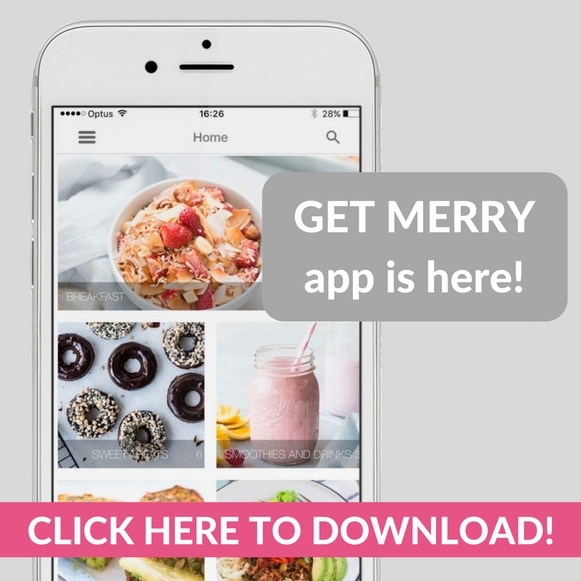 All the recipes are gluten free, grain free, refined sugar-free with dairy free options and paleo options. They’re all easy and 100% yum. It’s time to bring the fun back into your kitchen! It’s going to be 14 days of motivation and support to give your health a boost. We’ll be running our own Merry master classes PLUS we’re bringing in 3 of our most fave people to run classes too! 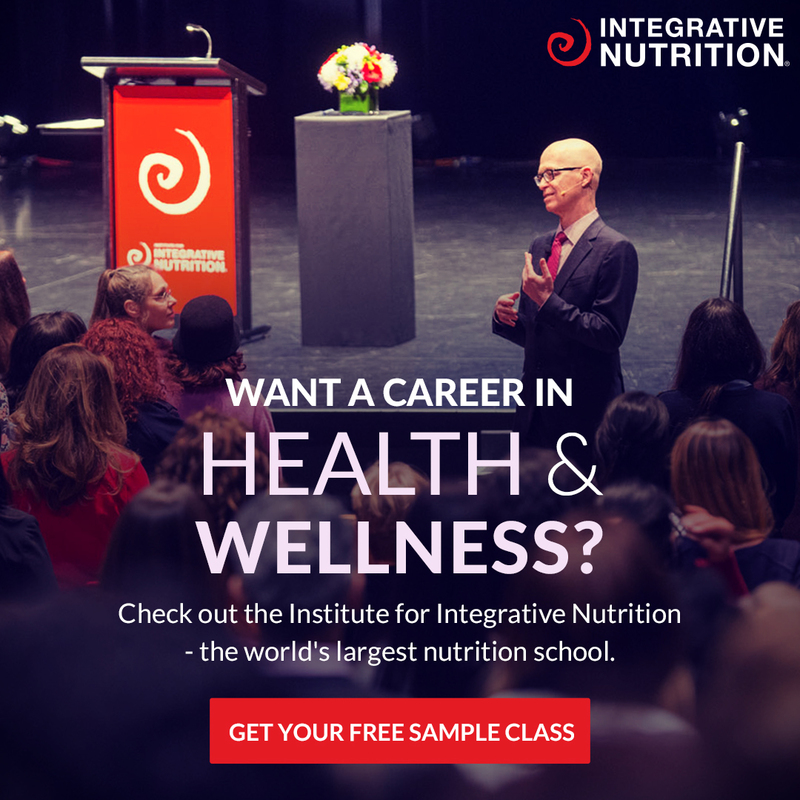 gut health and adrenal fatigue. It all starts on 28 August and the best bit… there’s a special early bird rate available until midnight 6 August. Get more info and sign up over HERE. “Thank you so much for putting this beautiful challenge together, it was 2 weeks of fun cooking. Trying things I’d never tried before and lots of positive vibes. It was exactly what I needed. I LOVE cooking again. You ladies did not disappoint with fun, fast and simple recipes that were so good”– Kerstin. If you have any questions about the Challenge feel free to get in touch via email or social media! Can’t wait, eeeee, if you’re ready for a stack of good vibes and fun and delish food (like the healthy chicken cashew) come join us! P.s don’t forget, this recipe is part of our next #GetMerry 14 Day Challenge, check out the early bird special! In a bowl add the arrowroot flour, salt and pepper and stir. Add the chicken pieces and stir to coat. In a large fry pan on high heat, add 1 tbs. of macadamia oil. Add the chicken pieces and cook. Stirring every now and then. In another pan on high heat add the other 1 tbs. of macadamia oil. Add the broccoli, capsicums, garlic and ginger and stir fry. Add the coconut aminos, apple cider vinegar and honey to the pan with the chicken. Turn the heat down to medium. Once the chicken is almost fully cooked and the veggies are slightly softened, transfer the veggies into the pan with the chicken and stir fry to combine. Finally stir through the cashews, serve up, eat up! Do you like it hot? 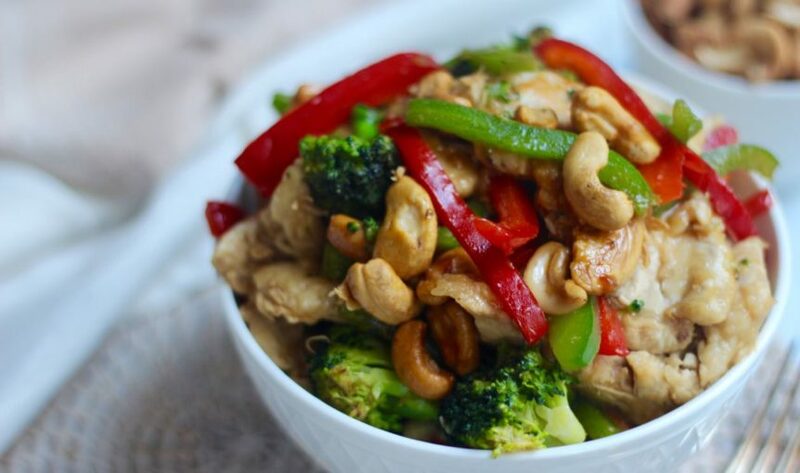 Add fresh or dried chilli to the cashew chicken party! Oh and we know chicken cashew normally has onion but we didn’t feel like it! So, feel free to add some!